In a historic first, the small South Island town of Reefton commemorated veterans of the 28th Māori Battalion. Local Ngāi Tahu hapū were invited to lead commemorations for the first time. Twenty-eight veterans of the First Battalion New Zealand Regiment (1957-1959) have reunited in Rotorua to commemorate their fallen comrades whom they fought alongside in Malaya 60 years ago. An official memorial service took place at Muruika Soldiers' Cemetery in Ohinemutu. A parliamentary petition is urging Kiwis who provide humanitarian relief in overseas' disasters and emergencies should be recognised. The RSA, Police and Fire Service are amongst those calling for change to our current honours system. 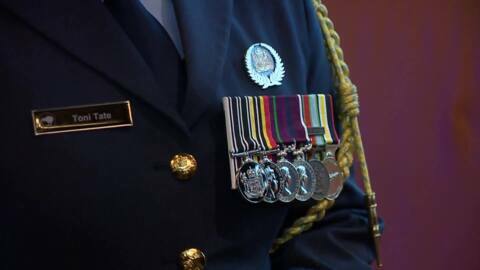 Modern veterans were honoured in a welcome home parade at South Auckland's Pukekohe. Organisers Returned Services Association (RSA) Franklin say it's fitting to celebrate Aotearoa's returned service people and remember those who've fallen in recent conflicts and old wars this Remembrance Weekend, following yesterday's Armistic Day. Maori war veteran Selwyn Clarke is calling on donations to stop after his pension has been restored and the warrant for his arrest has been dropped. Northland MP Winston Peters says War Veteran Selwyn Clarke's pension should be reinstated. The Ministry of Social Development says that the future well-being of a veteran soldier is in his own hands. This from the Ministry of Social Development in respect of the Māori Battalion Veteran Selwyn Clarke who had his pension cut two months ago.